When I lived in Kentucky I often satisfied my junk food jones at the local Sonic Drive-In. There isn’t one all that near where I hang my hat in Los Angeles so I rarely get the chance these days but since I’m back home in The Bluegrass State for a short spell I’ve been jumping at any excuse to quench my Sonic craving. Today they’re offering 79 cent medium slushes. Heck, yeah! Those things are usually a couple of bucks so you know I’m going to grab me some discounted sweet icy goodness on a hot and Kentucky-humid summer day. My wife, AshleyRose Sullivan, came along. 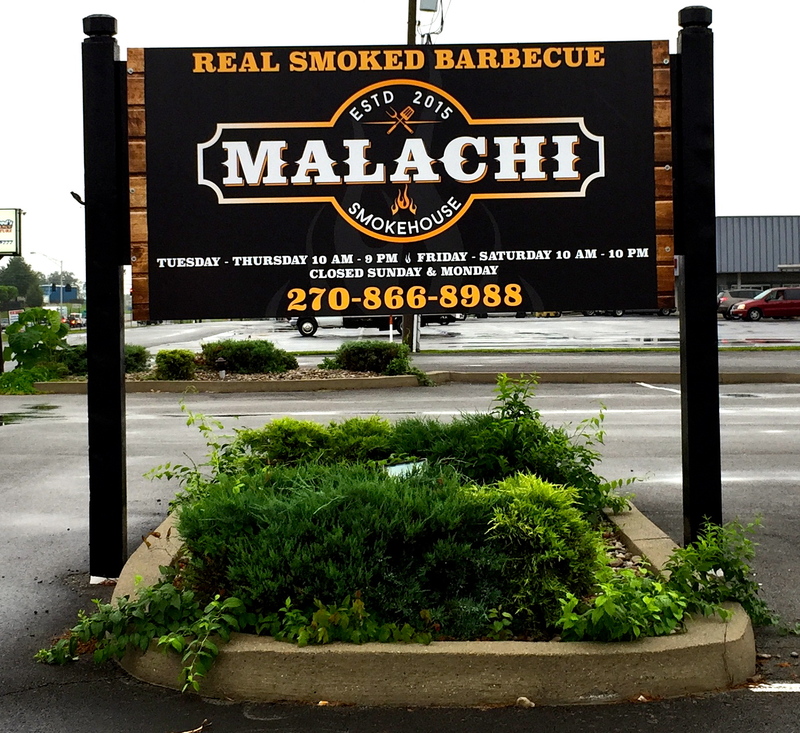 While we were enjoying our delicious discounted drinks we noticed that a new BBQ restaurant had opened up in my hometown. It’s named for the biblical prophet Malachi. Point AshleyRose. Winner! Maybe you should go read her blog instead of mine. I'll just stay here and quietly drink my tasty bargain Sonic slush consolation prize.